The Isuzu Ascender was first produced in 2003, providing Isuzu with a full-sized offering in comparison to their mid-sized Trooper. This seven-seater vehicle was very similar to the GMC Envoy, as both were manufactured by GM under a deal between the companies. The Ascender was modified in 2005 to include an option for a five-seat variant. This move was meant to phase out similar offerings like the Axiom and Rodeo. Isuzu also included a new displacement on demand system, which added a considerable fuel economy boost to the otherwise heavy gas consumption of the Ascender. While these additions increased the flexibility of the Ascender's product line, they ultimately didn't save this model from discontinuation. Isuzu, making a large-scale exit from the American market, opted to end the Ascender line in 2008. Instead of producing the Ascender, the GMC Terrain took its place in terms of manufacturing. Given the large size and heavy weight of the Ascender, these vehicles put motorists at significant risk of a rollover and a subsequent roof crush accident. These roof crush accidents can cause extremely serious injuries to the head and neck, often leaving injured motorists with the need for emergency care and long-term treatment. The Isuzu Ascender has a relatively higher rollover risk when compared to many other vehicles. Given the necessary height to seat seven passengers comfortably, the Ascender may still be at a higher risk of rolling over despite a significantly wider wheelbase. As a result, tight turns or side-impact collisions can result in the vehicle rolling over. Once a vehicle has flipped over, the strength of the roof support beams on the vehicle become a primary safety concern. If these beams aren't able to hold up the often immense weight of the vehicle, they may collapse in and allow the vehicle to crush the passenger cabin. If this occurs, anyone trapped inside may sustain life-changing injuries due to the lack of safety devices to protect motorists in these sorts of devastating events. According to the government's National Highway Traffic Safety Administration, the Ascender shows relatively average marks in rollover safety. Considering that the heavy weight of the Ascender makes roof crush accidents a very real possibility, the best way to avoid these horrifying events is to prevent rollover accidents altogether. However, with a rating of three stars out of five for the two-wheel drive model of the Ascender, there is a serious risk of rolling over if the conditions are right. The four-wheel drive model does better in these safety tests, scoring four stars out of five. However, both vehicles put drivers and passengers at a greater risk of sustaining life-altering injuries, such as paralysis due to a head or neck injury. 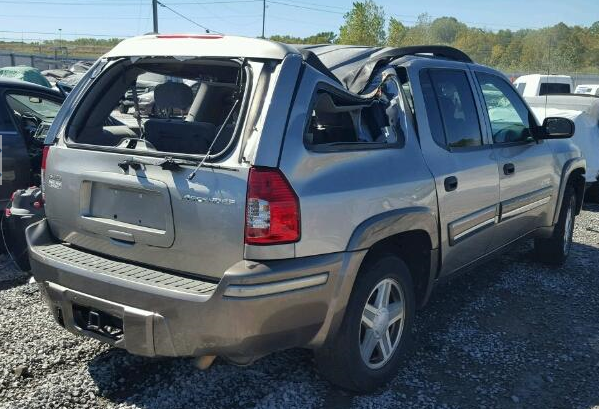 If you or someone you love has sustained an injury in an Isuzu Ascender roof crush accident, there may be legal options available to fight for financial compensation for the cost of those injuries. To learn more about this possible legal action, contact the Willis Law Firm at 800-883-9858 today.